Located in the commercial port just a few minutes' walk from the city center, our hotel is an essential part of any trip. Our friendly team will be on hand to ensure your stay in Brest is unforgettable. 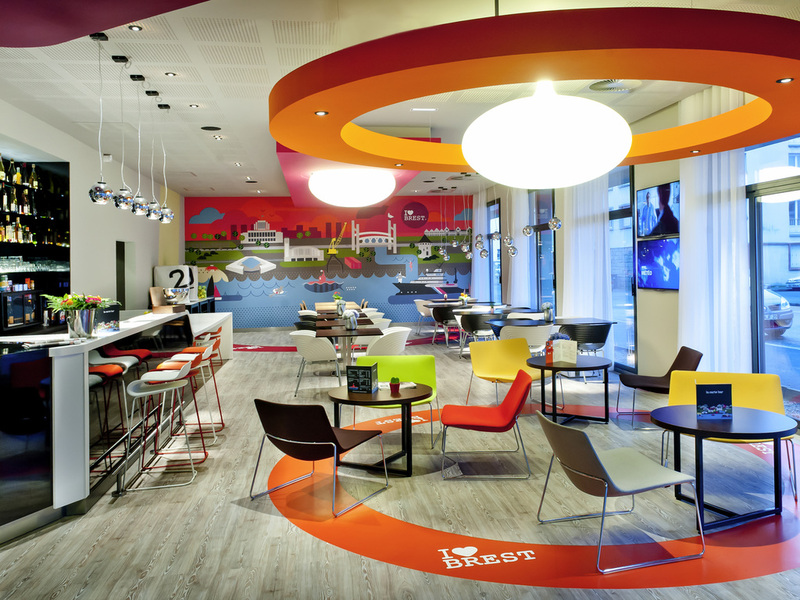 Breakfast and unlimited WIFI are included in all the ibis Styles Brest Centre Port hotel prices. Located in the port of Brest, opposite the Carène music venue. The Quartz Conference Center and SNCF station are less than 0.6 miles (1 km) away. The hotel of fers designer rooms for 1 to 5 people. A 4305 sq. ft. (400 m2) living space with a lounge area, fireplace, bar, on-site catering service, a computer and printer. Children's area with board games and a Wii. Private, covered car park.